*PUBLISHER’S WEEKLY calls ASTOR PLACE VINTAGE “enchanting” in a starred review. *ASTOR PLACE VINTAGE is on the KIRKUS REVIEWS 2013 list of best novels for summer reading. 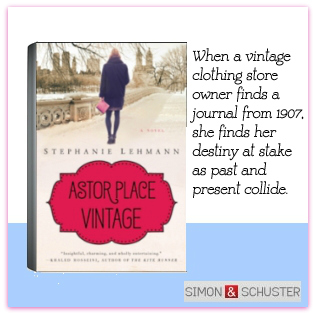 *LIBRARY JOURNAL names ASTOR PLACE VINTAGE as a best novel for 2013. Have you worn your bathing suit this summer?